New Airport for Skopje, Macedonia | Words, By George! A new chapter in the history of Skopje Alexander the Great Airport began as it opened the doors to its brand new terminal. 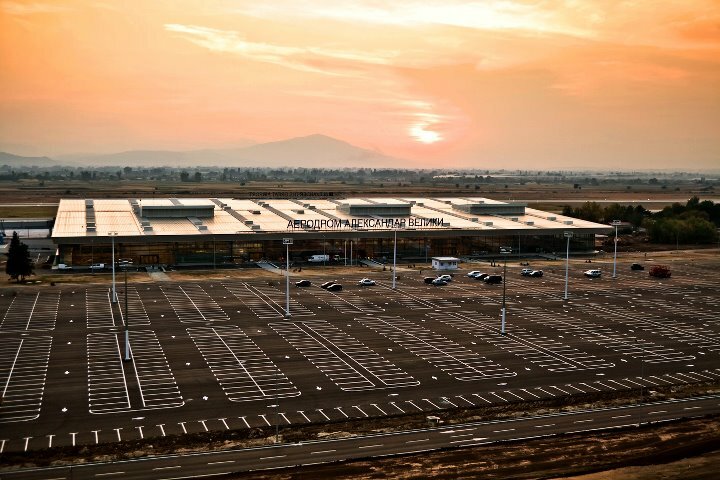 The multi million Euro project took just over a year to complete and will allow Macedonia’s capital to have the most modern airport facilities in the former Yugoslavia. The new terminal at Skopje Airport is ten times the size of the current terminal building, which was built in 1987 and will be closed as of tomorrow. The new terminal stretches over two levels and 40.100 square metres. Besides the new terminal the runway has been lengthened in order to accommodate larger aircraft. Furthermore, millions have been invested into supporting infrastructure such as access roads, a car park and an administrative office building. 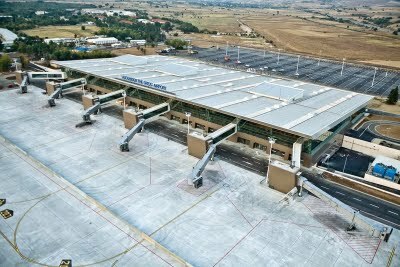 The development of the new terminal was made possible by the Turkish airport operator, TAV Holdings, which took over the management of both Skopje and Ohrid airports from the government in early 2010. As a result, the opening ceremony of the new terminal was attended by Turkish government officials and businessmen. Macedonia’s Prime Minister said that the new terminal was one of the biggest and most complex investments in the country. Thousands of people turned out to see the opening of the new terminal. Special busses were organised from the city centre so the public could get a glimpse of the new facilities and look around. company for it to have a bus line from the airport to the city. The operator is also working hard on finding an established airline to base an aircraft in Skopje, which would lead to an increase in passenger numbers. 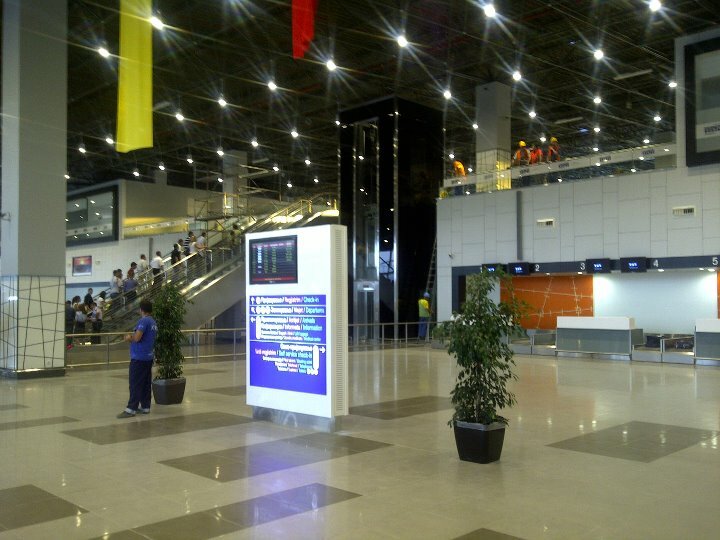 In the first half of the year, Skopje saw a passenger increase of 8%. A total of 110 million Euros has been invested into the new terminal which features air bridges, several duty free shops, a food court, 23 check in desks, over a dozen passport control counters and has the capacity to handle 4 million passengers per year. Oh dear! Oh dear! I fear that this just another example of poor investment. Most of the “visitors” through Skopje will be returning ex-patriots who are visiting relatives and families in MK. The amount of true tourists who have no familial ties to Macedonia can be measured in the hundreds annually. Speaking from experience, Skopje can be a difficult destination to get to, depending on where your journey starts. For example, try coming from the UK! Only Wizz Air offers a five days a week flight direct Luton-Skopje, and they can be extremely difficult to deal with. So last time I came to Skopje from the UK, it was via Munich-Belgrade-Skopje. When this so called “investment” dos not pay off, who is going to be left carrying the can? You can bet it won’t be the Turks (no disrespect intended or inferred), rather the Macedonian people through the financial ineptitude of their government!